OH WOW! 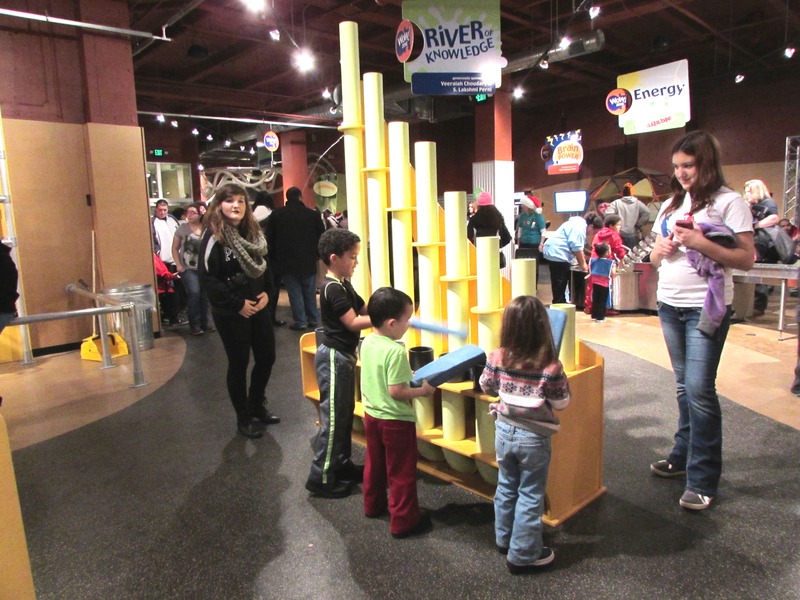 is a world-class children's museum focused on science, technology, engineering and math, located in downtown Youngstown, Ohio. 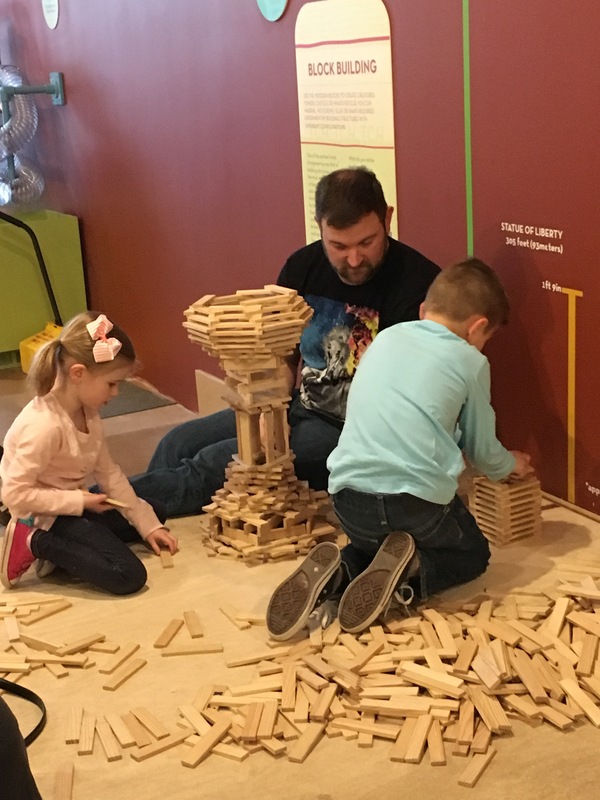 The museum is an anchor and economic development engine in Youngstown’s central business district, featuring more than sixty hands-on, interactive opportunities, or exhibits, linked to the educational content standards of Ohio & Pennsylvania. Our target population is children ages 0 to 14, with EDUtainment opportunities for all ages! A gallery of concrete bas-relief plaques represent the core disciplines of a well-rounded education, reminding OH WOW! visitors that learning occurs in many ways. These plaques were rescued and restored from the now-demolished Hillman Elementary School (circa 1929) by local architect Raymond J. Jaminet and Youngstown CityScape in 2009. OH WOW! embraces universal design principles, ensuring we’re accessible to the greatest number of people possible without regard to ability or disability on our exhibit floors and in our administrative offices. The 11 galleries, or WOW! 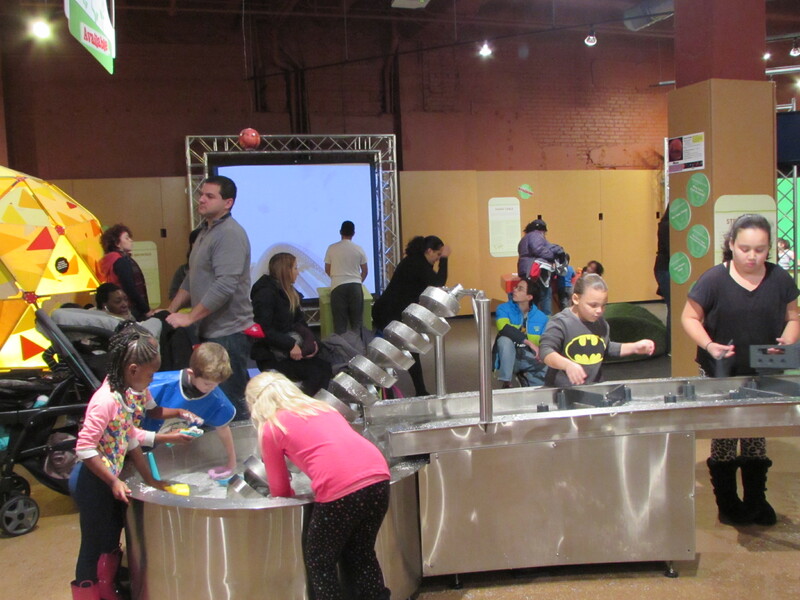 Zones promote understanding of the Scientific Process of Inquiry, encouraging visitors to make observations, draw conclusions from those observations, and adjust or modify their experiments (or actions) to get a different (or better) result. Our InspireWorks! Lab features a lean manufacturing environment and Deming’s Plan, Do, Check, Act (PDCA) continuous improvement process. Our guests are able to “MAKE” products of their choosing, using real world tools and materials. Our locally-designed and locally-built “Kids in the Kitchen” exhibit features a farm-to-table experience for our youngest visitors. “Drive to Excel” is our newest exhibit zone, dedicated to the concept that visitors of all abilities can engage and interact with adaptive equipment and technologies that enable them to excel at activities of their choosing. Capital investments now exceed $2.5 million. Featured in the Avionics area is the Airplane Shooter, requiring visitors to fashion their own paper airplanes and launch them at a variety of targets. “Big John’s Flight Trainer” was recently installed in our experimental bi-plane. 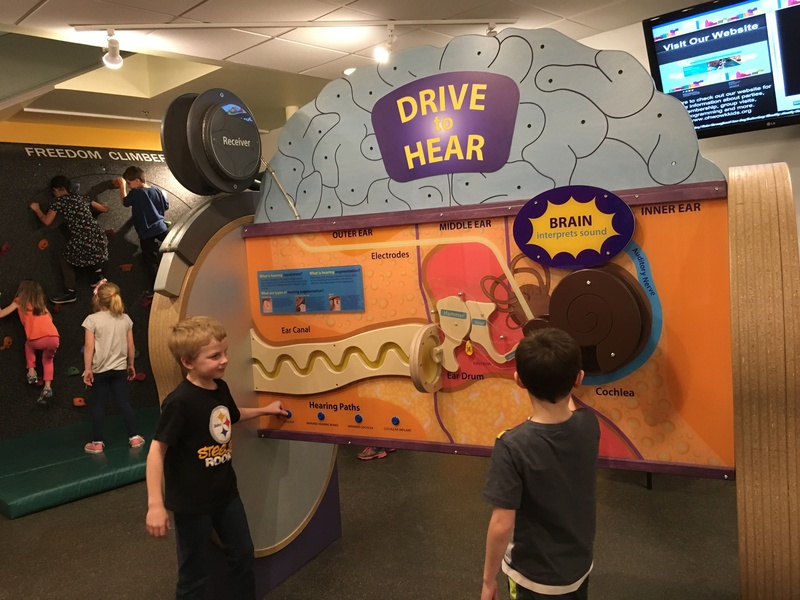 In Brain Power, guests test their knowledge of financial literacy and can complete a withdrawal from the ATM exhibit and enter a monthly drawing for a $25 cash award. The Early Childhood WOW! ZONE features KIDS IN THE KITCHEN, providing an opportunity for our youngest visitors to experience the Farm to Table cycle. In the Earth & Weather WOW! 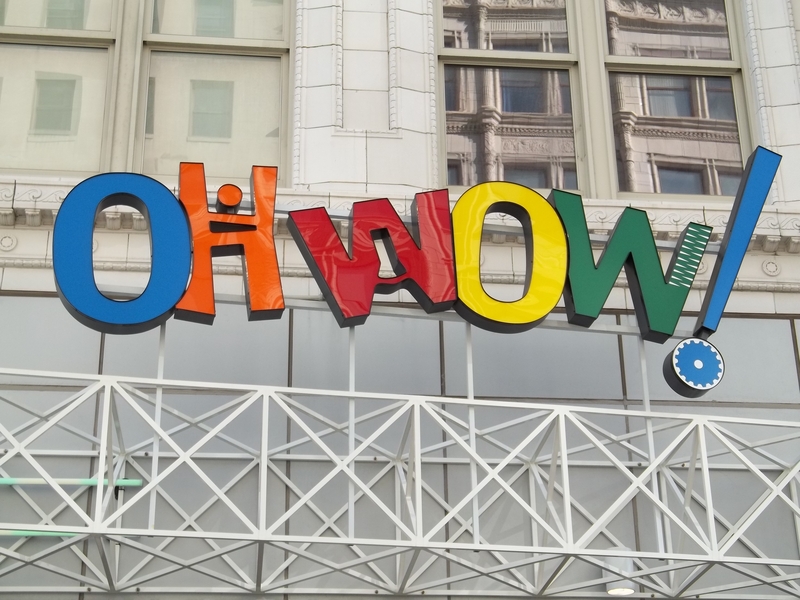 ZONE, guests can become a meteorologist, report the weather forecast using the OH WOW! Green Screen or experience it first hand in the Hurricane Chamber. Create and problem solve with members of your team in the Engineering WOW! ZONE, featuring the Catenary Arch, the Magnet Wall, the Lego Table and the Gear Wall. 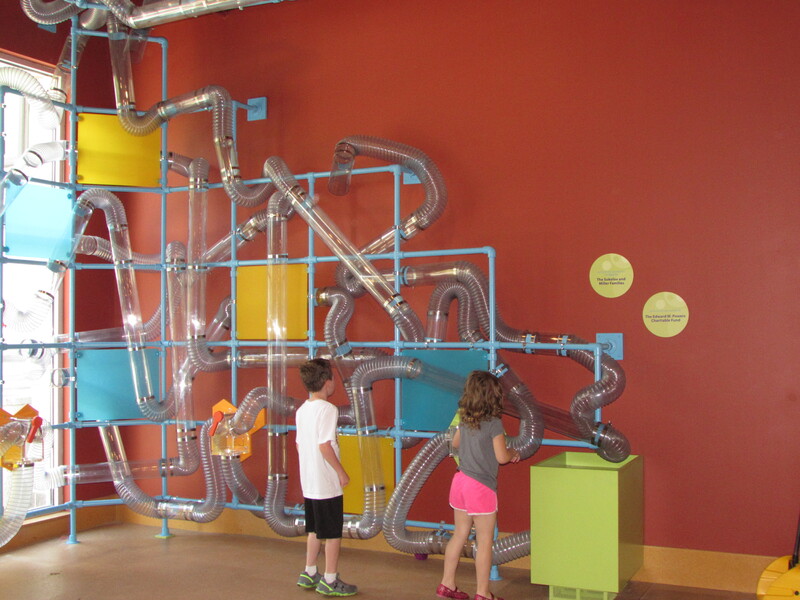 Explore what you can move with air in A-mazing Airwaves. River of Knowledge WOW! ZONE allows guests to create channels and dams that release and stop the flow of water. Force water uphill, using the Archimedes Screw or build systems that divert and capture water at the Erosion Table. Not wet enough? Experiment with the Laminar Jets and Bernoulli Fountains. Guests can create their own compositions on the Rhythm Machine and the Pipe Organ or dance through the beams of the Laser Guitar and shout to the world in the Echo Tube. InspireWorks! WOW! ZONE is a 3700’ Maker Space that provides guests with a NEW! interactive experience each time they visit, featuring Deming’s Plan, Do, Check, Act (PDCA) continuous improvement process. Come and tinker, using real materials and tools. Book OH WOW! 's Function Junction or InspireWorks! Classroom for your fieldtrip, party, meeting and event needs! We encourage you to make your reservation early… call our specialists at 330-744-5914.